Here is an inspiring and practical pairing for the graduate: a devotional journal plus a Bible memory plan! Dozens of thought-provoking readings speak to the hearts of grads, sharing spiritual truths from God's Word, including topics like: courage, faith, serving, choices...and more. 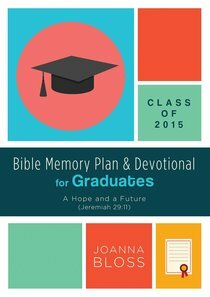 About "Bible Memory Plan and Devotional For Graduates - Class of 2015"